Paramedic Interns can expect to make approximately $50,000 during their 10 months at the University of Washington’s Paramedic Training Program. Starting pay for Paramedic’s after completion of school is $32.45/hour with a 47 hour/week schedule. All Paramedics and Paramedic Interns receiver full medical, dental and vision insurance. All Paramedics and Paramedic Interns receive both short and long-term disability insurance. Paramedics and Paramedic Interns are entered into Washington State’s LEOFF 2 Pension plan from date of hire onwards. Paramedics and Paramedic Interns begin to accrue paid vacation and sick leave from date of hire onwards. All medic units are dual-paramedic. Paramedic’s work 24-hour shifts, based out of a permanent station that is equipped with full living facilities (beds, kitchens, shower/bathrooms). KCM1 is a targeted ALS agency and is only dispatched to, and only transports ALS calls. All CE is paid for and provided by the department. After completion of Paramedic Training all Paramedics are eligible for Advanced Standing entry into Central Washington Universities Bachelor of Science in EMS/Paramedicine. KCM1 boasts multiple options for career advancement, including positions as field and administrative MSO’s (supervisors), Acting MSO’s, FTO’s, and entrance into the department’s Helicopter Rescue Team. All Paramedic’s and MSO’s have union representation at the end of their probationary year. Currently certified as either an EMT or Paramedic (Washington State certification is not required). 3 years of prehospital EMS experience with 1 full year being with the same agency. Valid driver’s license (must be able to obtain a Washington State license if currently from out of state). Must be either a US citizen or eligible to work in the United States at time of hire (KCM1 does not sponsor work-related visa’s at this time). KCM1 runs a 5 phase testing process through the department, and through an impartial 3rd party testing center. Complete both a written civil service test and a written EMT test administered by Public Safety Testing and the Personal History Statement. These may be completed before applying for the department. 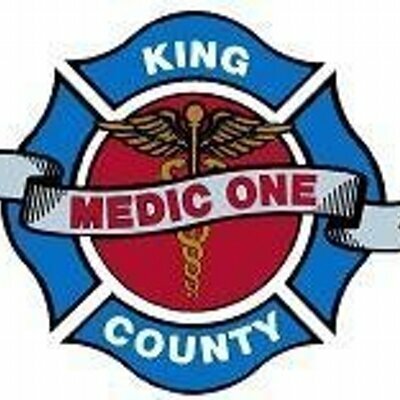 Complete an application for KCM1 (available at King Counties Job’s website). The top 40 applicants will be invited to an Assessment Center run by KCM1. Top scoring candidates from the Assessment Center will complete a Physical Agility Test on a pass/fail basis. Passing candidates will be invited to an oral interview. The final candidates will also have to pass a comprehensive background check that includes both a medical exam, as well as a criminal history check. Successful completion of the University of Washington’s Paramedic Training Program (ALL Paramedic Interns are required to complete this class, even those currently certified as Paramedics). Successful completion of 12 months of probation starting after completion of Paramedic Training, including 6 months working with a FTO and evaluation by the Medical Director.